There is one food that I could never get sick of—year round—and that, my friends, is zucchini bread. I will forever crave that moist, dense, sweet, + delicious loaf, fresh out of the oven. Zucchini bread has taken on a few different forms on this blog—like my strawberry zucchini bread, or my zucchini bread muffins, but today we are taking it to a new level. 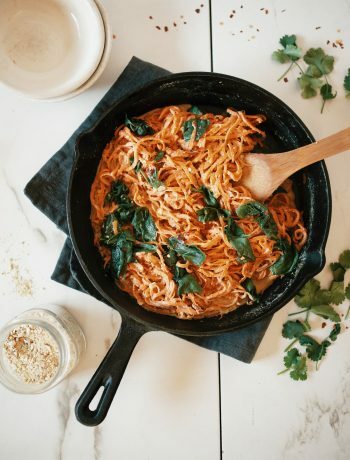 I recently had a zucchini in my refrigerator while planning my to-go breakfast for the next morning and this recipe was the result. 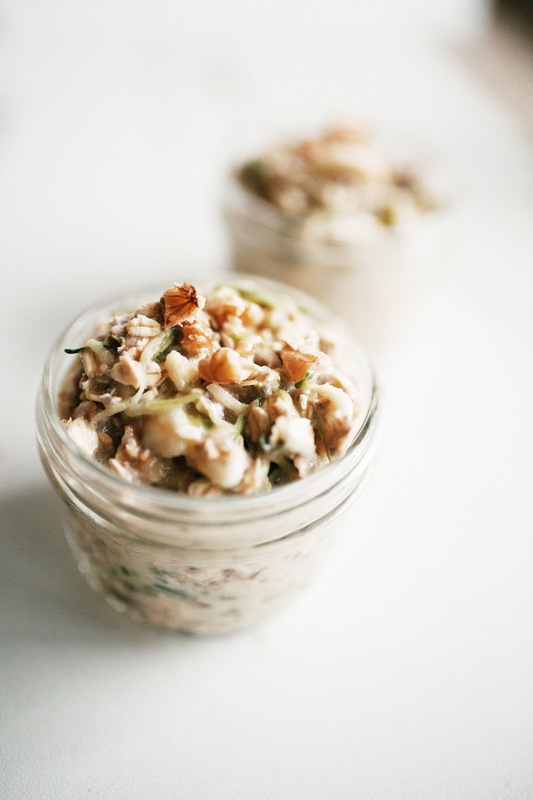 Who knew oats + zucchini could be so good? 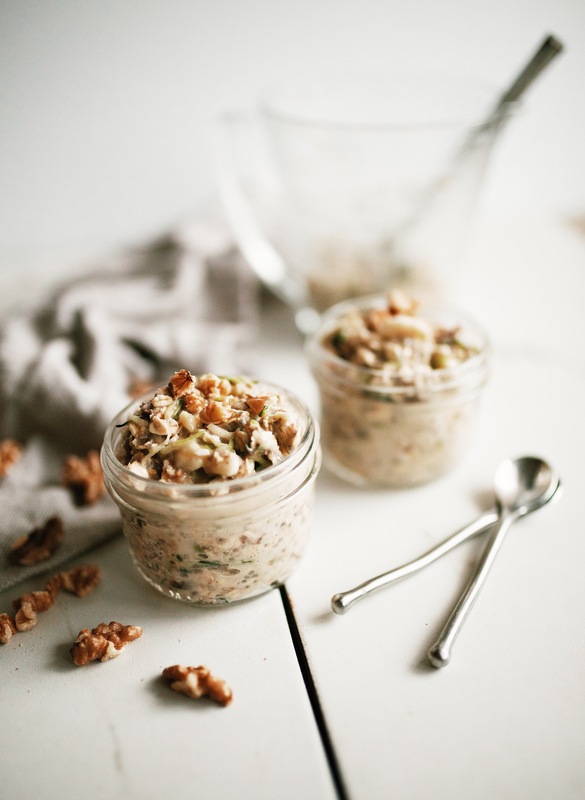 Whip out the grater + cinnamon—we’re making Zucchini Bread Overnight Oats! 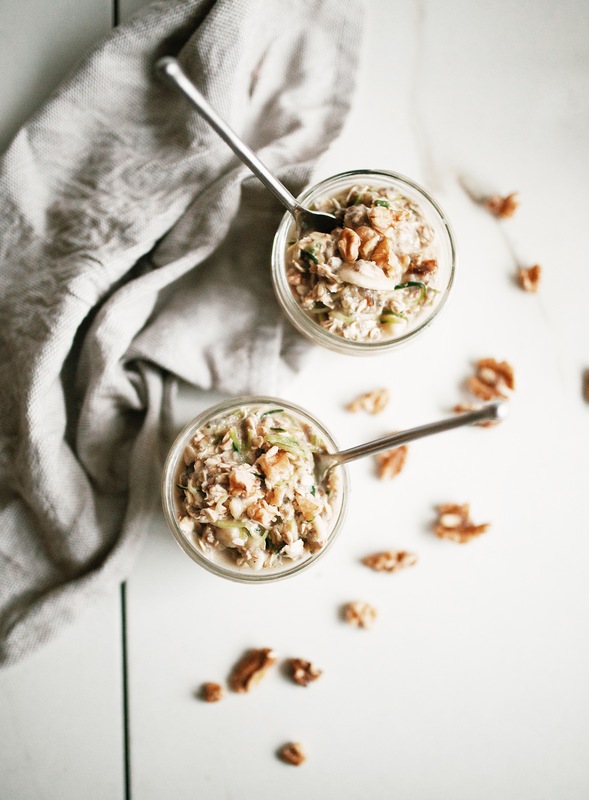 When my friends ask me for weekday breakfast ideas, I always tell them about the wonder of overnight oats. 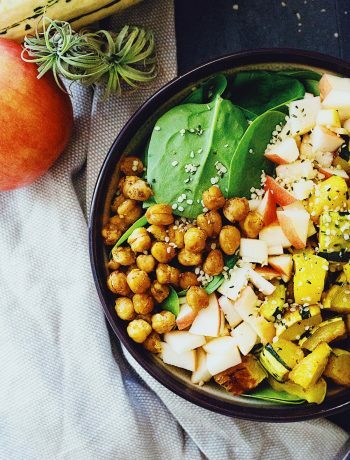 This easy, healthy breakfast is the ultimate grab-and-go. 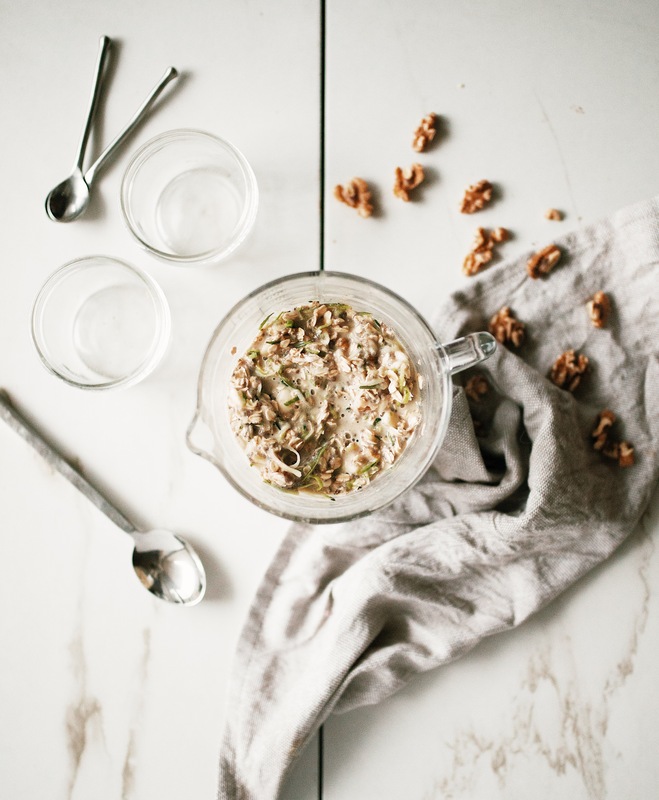 I’ve shared easy overnight oats recipes before—like my banana bread overnight oats. Today we are taking it up a notch, adding some veggies, + making a batch big enough to share (or last a couple days). The zucchini in this recipe—just like in a classic zucchini bread—is flavorless, and adds extra moisture. Bananas make the mixture super creamy, chia seeds make it sticky, walnuts add the crunch, and chopped dates keep it just a bit sweet. Add the classic warm spices and you’ve got yourself zucchini bread in a bowl! & so Easy to Whip Up! If you like this recipe you might also like my strawberry shortcake breakfast bowl, chocolate avocado overnight oat parfaits, blueberry almond butter overnight oats, or creamy microwave oatmeal. 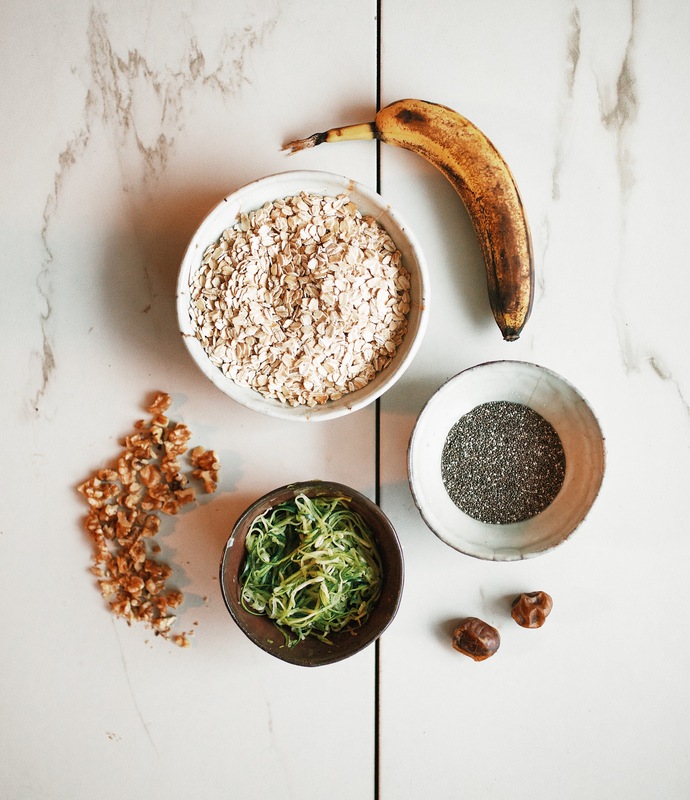 This recipe the easiest on-the-go breakfast + tastes just like zucchini bread in a bowl. 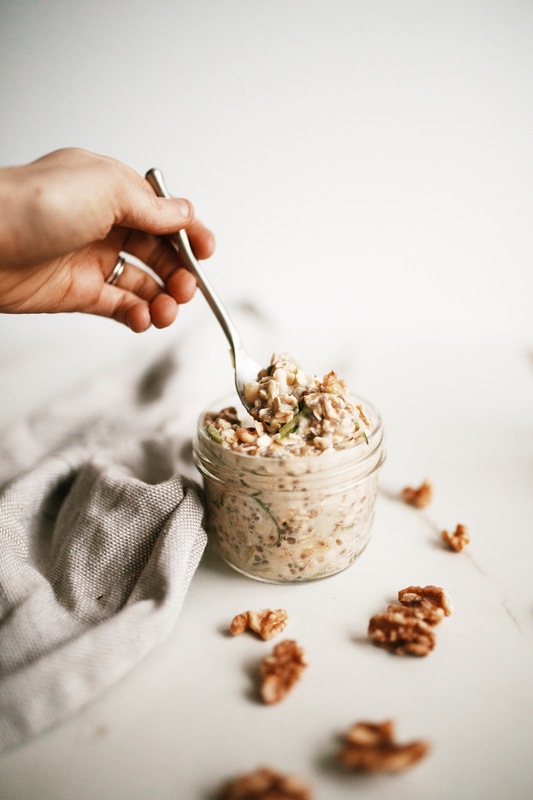 My zucchini bread overnight oats are creamy, perfectly spiced + naturally sweetened—the best healthy breakfast! In a large bowl, combine all ingredients. Stir until well combined, cover, and transfer to refrigerated. Chill for at least 2 hours, preferably overnight. Mixture will become thick and sticky. Remove oats from refrigerated and gently stir with a large spoon. Serve cold with optional toppings. Leftovers will keep refrigerated in airtight container for up to 3 days. 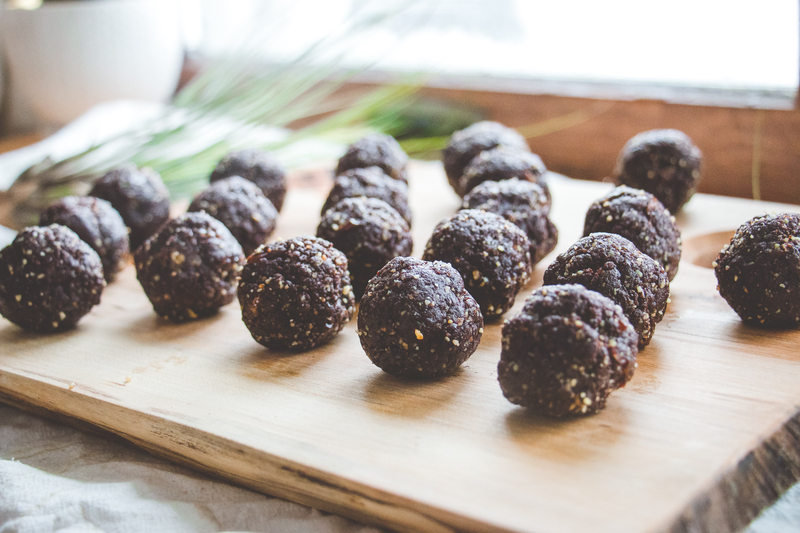 Nutrition information is a rough estimate of ½ of the entire recipe without toppings.